Jane...a stay at home mum. I have a bachelor in education and a diploma in yoga teaching and am passionate about cooking and nutrition. 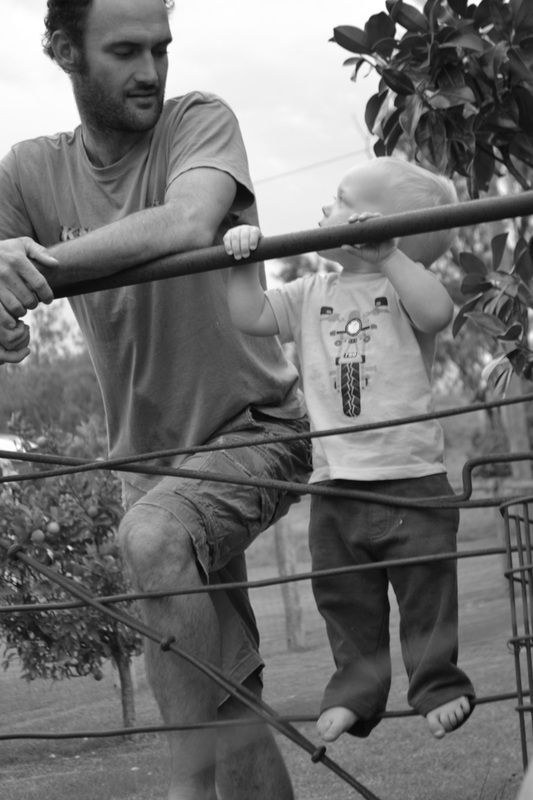 Nic...farmer and my amazing husband who looks after the Marinya Cottage kitchen garden and assists with photography. Henry....our gorgeous little boy who we love dearly. Why do we eat and cook like this? What diet do we follow? We eat a variety of food and don't follow a specific diet. On the blog you will find raw, cooked, grainfree, gluten free, foods with gluten, wholegrain, vegetarian, vegan, fermented and meat dishes. We try to eat food that makes us feel good, gives us energy and allows our bodies to function in the best way they can. Are there foods you don't eat? The only food that we strictly avoid in Marinya Cottage is nuts. I developed a severe allergy about five years ago and since then, the cottage has been a nut free house. In saying this, you probably won't find a lot of wheat, refined sugars and oils, artificial sweeteners or processed foods on the blog or in our kitchen. Where does the cooking inspiration come from? ayurvedic diet during my yoga studies and meeting some amazing vegetarian cooks whilst working in democratic/alternative education. Family, friends and fellow bloggers have also played a huge role in developing many of the recipes on this blog. All content and images on this blog are by Marinya Cottage Kitchen unless otherwise stated. Please don't use any images or content without explicit permission or referencing to this blog or our facebook page.